This adventure encapsulates authentic safari experiences with one of the world's seven natural wonders. Visit the mighty Victoria Falls, with its many thrilling activities, before heading to the remote South Luangwa for a memorable safari. Upon your arrival at Livingstone Airport, you will be met by a Safari365 representative and road transferred a short distance to your hotel situated on the banks of the Zambezi River. 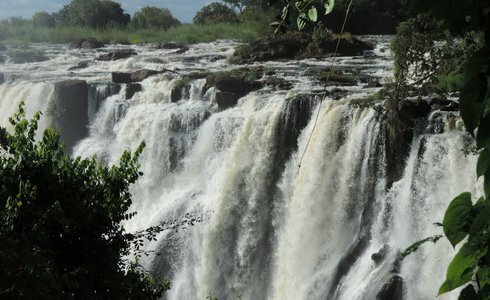 A natural wonder of the world, Victoria Falls is one of the most magnificent spectacles of nature. Fabled in legend and mystery, witness the splendour of the world's largest sheet of falling water on a breathtaking Victoria Falls tour. Known as the ‘adrenalin capital of Africa', Victoria Falls offers adrenalin junkies a wide variety of action-packed activities, including helicopter flips, micro lighting, bungee jumping, abseiling, white water rafting and elephant-back safaris. Those seeking a more relaxed Victoria Falls tour can enjoy activities such as Zambezi River cruises, Livingstone Museum trips or a cultural tour to Mukuni Village. Accommodation is at the Royal Livingstone Hotel on a bed & breakfast basis. Please note: additional activities can be arranged at an additional cost. After an early breakfast, say goodbye to Victoria Falls and transfer to Livingstone Airport in time to catch your light aircraft to the South Luangwa National Park (flight approx 3hrs). On arrival at the airstrip, a short road transfer will take you to the Puku Ridge Camp. Your base for the duration of your Zambia safari. Home to some 60 mammals and over 400 species of bird, South Luangwa National Park is one of Zambia's best areas for game viewing and bird spotting. Your days will be spent tracking buffalo, elephant, lion, leopard, hyena, antelope, puku and impala on game drives in custom built 4x4 safari vehicles. 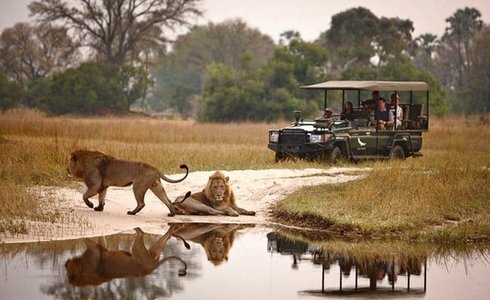 Complete your Zambia safari by searching for lion tracks or the giant footprints of elephants on an exciting walking safari, accompanied by an experienced guide and an armed scout. Accommodation is at Puku Ridge Camp on a full board basis, including park fees and scheduled activities. After one last morning activity your Zambia safari comes to an end. You will be transferred to the Chindeni Bush Camp airstrip for your flight to Livingstone airport and continue your onward journey home.